Liverpool boss Brendan Rodgers is strongly targeting James Milner for the summer move as the Englishman will be out of contract at the end of the season. 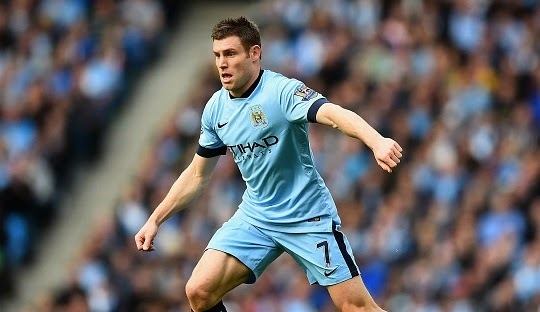 Milner who joined the Citizens from Aston Villa in 2011 is in doubts for the future. The Englishman will be out of contract in the summer. However, he is hoping to seal new contract. It was reported last week that Manchester City are planning to offer a contract extension. The 28-year-old has made more than 100 Premier League appearances for Manchester City and has lifted Premier League title twice since his move. Telegraph reported that Arsenal are also in the queue but Liverpool are in front of the race. It would be a fine signature as he can play in variety of positions centre, left midfield or even as a full-back. Milner would be a great addition to either of the side and could prove to be a big boost. However, his future remains in doubt as he wants to stay at Etihad Stadium. Serie A side Inter Milan are also interested in him, according to reports. The former City boss Roberto Mancini is planning to resign him at Inter.